Here's a proposal. How bout each country in the EU agree to take in 1/2 of 1% of their population per year for two years, and encourage non-EU countries to do the same? That'd take care of at least 3.5 million over two years.
. . . how about each person on the globe go to their designated country of origin and they park their *** there and cross borders with only a keyboard? Always nice to hear from the mental health community. You like that 'whooshing' sound as things go over your head right? Your escape from the reservation is mostly an illusion. It's not me living in an illusion. 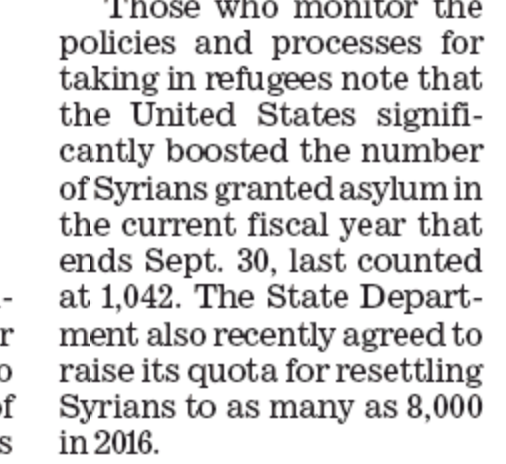 Why the US has admitted so few Syrian refugees? Here's a proposal: Why doesn't America take in some? Good question. Here's another one. Where are the Muslims not happy? I await your evidence that all Muslims are the way you say they are. Otherwise you're just a bigot playing stereotypes. It is interesting that none of you putative debaters has addressed the question, or has a word to say about the merits or problems of the proposal. First, I never said that all Muslims think that. Read "A God Who Hates" by Syrian born Wafa Sultan to see how a lot of them think. Not all, and probably not a majority, but a lot. Second, I don't have a big problem with that proposal. It could work, but getting everyone on side could be hard. The other problem is that Syria is losing their best and brightest, and that can't be good for that nation's long term survival. Third, why are no Arab or Muslim nations stepping up to help? Surely they could step up. Last edited by Glacier; Sep 4th, 2015 at 12:26 PM.. When you don't use limiting or qualifying language, you are speaking of the entire class. Nice try at weaseling out of it, but fail, sorry. That's an excellent point, and thank you for addressing the proposal. While I agree with you about the "best and brightest," it's also possible that if they remained they would just be killed by the worst and dimmest. I would certainly encourage, and perhaps require, that they go back when the dust settles some. 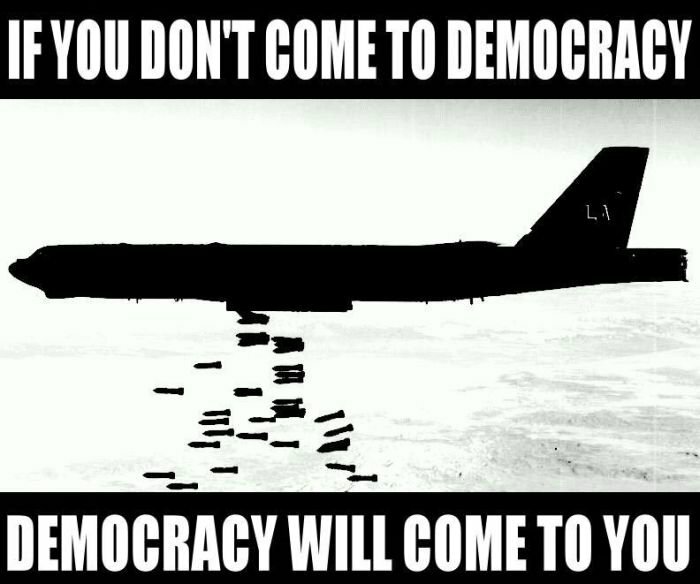 As you say, Syria will need them. Yep, the Muzzies're out to get you. Better run and hide. And you continue to apologize for Islam and Muhammad. Not all of them, but it does not take a majority to change the culture. 1/2 of 1% is fine. 2% is fine. 20% would not be fine. I don't think 7+ billion people would fit in southeast Africa easily. That'd be sort of like the Noah's ark issue- how to fit 2 of each of 2 million species (+their food) in a very small space. And what if they do not want to go? I don't think 7+ billion people would fit in southeast Africa easily. That'd be sort of like the Noah's ark issue- how to fit 2 of each of 2 million species (+their food) in a very small space. It's doable but you have to Tetris pack them in. And what if they do not want to go? Well then by gawd we fukkin' force them!! Luckily refugees over the last few years are highly educated and have experience in the oil industry. Those were humanitarian bombings though and as such cannot be fairly compared with ordinary bombings and apparently do not qaulify as valid reasons to move to some other country. You will have to brush up on international law Cliffy. Then they should apply like regular immigrants. No queue jumping. Because you voted wrong. We have our own "migrant" issues. We can send some to Britain though. You may need a counter balance of migrants because it seems like Jolly Ol' England is about to get another MASSIVE WAVE on immigrants from the ME. Time will come and all of you will race to come to the Muslim countries. Too hot a climate for me, but thanks. 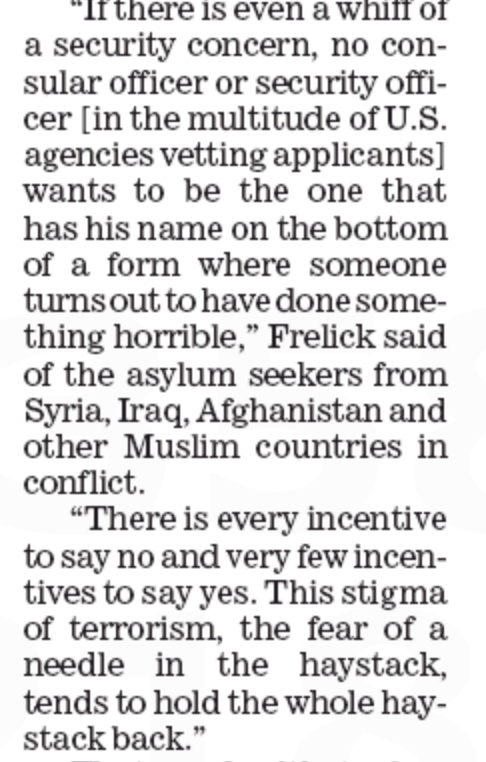 Refugee board vacancies cause soaring backlog of refugee claims.